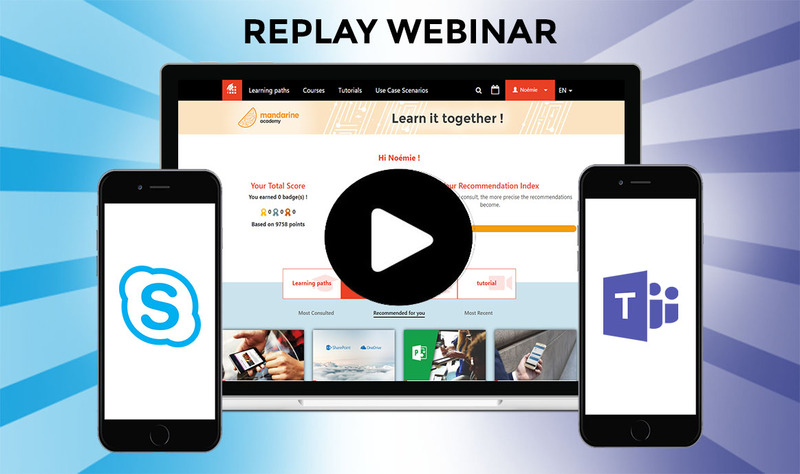 Last week, we organized a webinar on the topic “Moving on from Skype for Business to Teams”. You have been 150 registrants, we would like to thank you all the participants! In this article, you will find the FAQ of the webinar about Skype and Teams. 1. SIP telephony works with Teams? I heard Teams doesn’t support telephony at the moment. Yes, it is possible, it works as a mobile bundle. You can check with the person in charge of the telephony in your organization. 2. Any workshop planned in Brussels? No, this is a Microsoft UK Sponsored Workshop. We do not have any other planned currently. 3. Is there any translation option between attendees during chat? No, Teams do not have any automatic translation. 4. When sending a Teams meeting in Outlook, is there a way to have the meeting link appear at the top of the message, instead of the bottom? Skype is at the top, Teams goes to the bottom. If it’s a meeting created from Teams, it will automatically on the bottom. You still can edit the meeting in Outlook to add information under the Teams Link. If you create it from Outlook, you can directly write under the link. 5. What is the timescale for Skype disappearing? Microsoft Skype won’t disappear now but stop the maintenance and new features. 6. I saw that this meeting was recorded – where can I download the recording? You’ll be able to find it in the training platform, under the training session “Webinar – Moving on from Teams to Skype For Business”, the webcast will be on the bottom right. 7. Can Teams and Skype collaborate with each other? I can imagine some customers/suppliers not moving to team in next 2-3 years. Not for now, maybe with the Skype Server 2019 they will add this option, but we can’t know for sure. We are available if you have any other questions. See you soon on the MOOC Office 365!